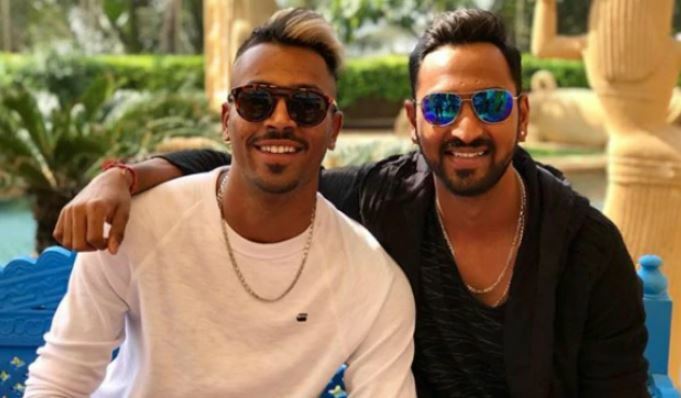 The new brother duo in the Indian team, Hardik Pandya and Krunal Pandya were both parts of the Indian playing XI for the second T20I in Auckland. Krunal, who did have a forgettable outing in the first game in Wellington, came back with a bang in Auckland. He took 3 for 28 in his four overs and played a crucial role in restricting the opposition to a manageable total. Krunal picked up crucial wickets of Colin Munro (12), skipper Kane Williamson (20) and Daryl Mitchell (1) to stem the run flow of the Kiwis in the middle overs. For his effort, he was also awarded the Man of the Match for his superlative bowling display. After the game, his brother Hardik congratulated him for his performance by a tweet where he wrote: ” Proud of you big bro” crediting him for his exploits. Krunal made his T20I debut for India against West Indies in 2018 and since then have been a constant member for India’s squad in the shortest format. His performances against Windies earned him a slot in the Indian squad for the T20I series against Australia following which he has continued his good show against the Kiwis. Meanwhile, his younger brother Hardik has made a comeback into the Indian squad after the BCCI suspended him from international cricket after his controversial comments in Koffee with Karan. He was included in the last two ODIs against the Kiwis and he played a key role in the final game giving an all-around performance to help India win the game and the series. Having leveled the series, both teams will play the decider in Hamilton on Sunday (February 10). India will then host Australia for a limited-overs series which includes two T20Is and five ODIs. IPL and World Cup 2019 are the two big events of the year which then follow.